​Got Questions? We are on WhatsApp! The place where memories are created, dreams are fulfilled, and romantic moments are savored. This vacation cabin was built for two, to bask in quality time together in the peacefulness of the mountains. Located at Muntele Mic in the Carpathian Mountain Range in Southwestern Romania, the peace of the rugged wilds surround this beautiful cabin in East Europe. Situated beside a mountain brook, and nestled against the steep mountains, the opportunities to enjoy nature are endless. Skiing, hiking, birdwatching, ancient history, are all part of a vacation at The Little Mountain Cabin rental cabin. The clear mountain air, the rushing mountain stream, the shaded picnic area under the trees beckon you to breath deeply the tranquility that engulfs this secluded refuge. Come to The Little Mountain Cabin for your honeymoon, getaway, holiday, summer vacation, or skiing vacation, and enjoy the comfortable accommodations prepared for couples in this romantic cabin. The authentic stone fireplace invites you to curl up with a good book. Or make a hot drink on a cold winter evening... In the summer take long walks at sunset, along the stream where trout dart through the waters. NOTICE: The next door neighbors occasionally work on their new house. We just want all of our guests to be aware of the intermittent activity before they stay. 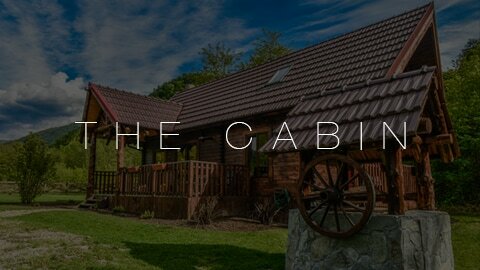 Watch the video to take a virtual tour of the cabin! The Little Mountain Cabin at Muntele Mic Romania is the perfect place to relax and getaway for a vacation in nature. Surrounded by mountains and situated beside a mountain stream, a holiday doesn't get any more peaceful than this. With a queen bed, full bath, a beautiful comfortable living room with a fireplace, full kitchen, and a laundry; you have everything you need for your mountain vacation. It all began on a trip to Europe in the hot summer days of 2012. A young American took a trip, and it ended up changing his life. For the better. The beautiful natural landscape of the Transylvanian Alps offer it all for the outdoor enthusiasts. Remaining largely non-commercialized, the untouched beauty is a rare find for the 21st century. 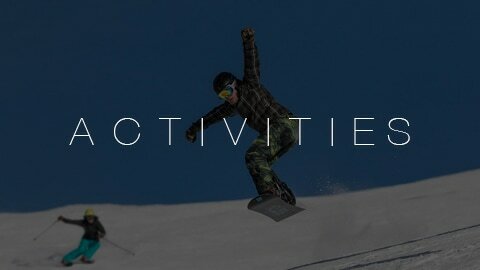 Enjoy skiing, snowboarding, hiking, mountain biking, mountain climbing, photograghy, bird-watching, or just plain relaxing in the clear mountain air. The history of Romania is fascinating. Centuries old, even milleniums old ruins, and excellently preserved castles. Ruins from the Roman overthrow of the Dacians at Sarmezegetusa. One of the world's 8 most unique water falls at Cascada Bigar. Retezat National Park with panoramic mountain views. Hot springs at Baile Herculane... Endless sources of interest for any history or outdoor enthusiast. Have you stayed at the Cabin? Let us Know how we did! "The Little Mountain Cabin was in reality exactly like the pictures, cozy and filled with everything we could ever want. Weston was very attentive to all our wishes and questions and was always available on his cell and by e-mail. It's the perfect spot to be alone in nature and enjoy hiking, skiing, and warming up in front of the fireplace... This as an ideal vacation spot for nature lovers!" "An amazing host and a amazing home!! Beautiful surroundings but most of all a most beautiful and delightful house, that fire place made me not want to leave, eveer!! Very cozy and warm, and I love the fact that it has privacy! I most certanly will come back soon!!" "Arriving at twilight, we turned down the short drive that curved around a hedge which keeps the cabin secluded. When we saw it, it looked like a Thomas Kinkade picture. Everything was perfect! The design, the craftsmanship, the attention to details...all the appliances were new and the amenities were clearly explained in detail in the Welcome book. We lit the fireplace and listened to our music using their sound system. The sound of the stream by the cabin literally soothed us to sleep. The area is beautiful and enjoyable for walks and exploration. The road up the mountain has breathtaking views. In the nearby village we were able to find a few shops for food and necessities, and in the city just 14 km away were restaurants, grocery stores and ATMs. After 4 nights there we felt so rested and hated to leave. This is our new FAVORITE PLACE!" 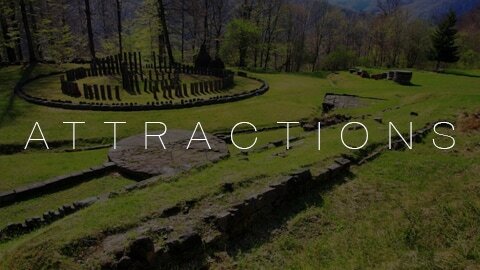 Enjoy this incredible video from a talented guy, Stanly, on the beauty of Romania! We have personally traveled to all these places, and yes, it is beautiful, and well worth seeing. This video actually does the beauty justice.